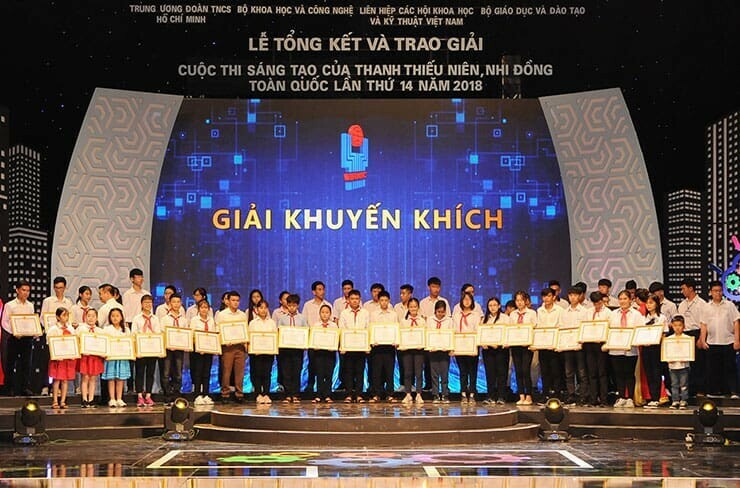 On 23 October 2018, in Hanoi, Vietnam Fund for Supporting Technological Creations (VIFOTEC) organized the Award Ceremony of the 14th Vietnam Nationwide Innovation Contest for Youth and Children 2018 in collaboration with Vietnam Union of Science and Technology Associations (VUSTA), Ministry of Science and Technology, Ministry of Education and Training, Ho Chi Minh Communist Youth Union, and Vietnam Television. The national children’s creative competition is a contest aimed at stimulating the creativity of science and technology in life, learning and promoting the creative thinking of children and youth in the whole country; “Helping children improve their knowledge, train creatively, build their dreams, help them become future inventors,” said Prof. Dr. Dang Vu Minh, President of VUSTA, president of VIFOTEC. 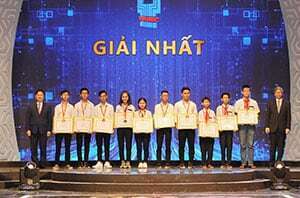 Contestants are youth and children from all over Vietnam at the age group of 6 -19, the contest especially encourages children at earlier ages, children in mountainous areas, island borders and ethnic minority groups. 725 inventions participated in Vietnam Nationwide Innovation Contest in 5 categories including Study Supplies; software; environmentally friendly products, household appliances and children’s toys; Technical solutions to respond to climate change, environmental protection and economic development. The organizers selected and awarded 106 outstanding works. 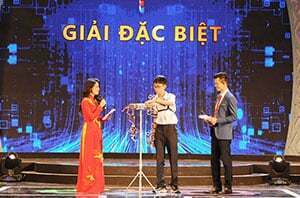 Special prize was awarded to Diep Gia Dang, a pupil of Ly Tu Trong High School, Can Thuy District with the solution “Robot Replicating Action”. According to Diep Gia Đăng, robots simulate action as a human copy, very low command latency (20ms), high flexibility and accuracy combined with human control allows execution of many alternative jobs in natural conditions. The robot also has the ability to memorize simulated operations to quickly create new operating cycles, save programming time, and communicate over saved data.